So since our move into a new home, I have had fun going through boxes from my sewing room. I am finding things that I forgot I even owned. I came across a couple of panels that I purchased from Joann's years ago. One is a scarecrow that is so cute. I thought what can I do with him? So I made a quilt wall hanging. 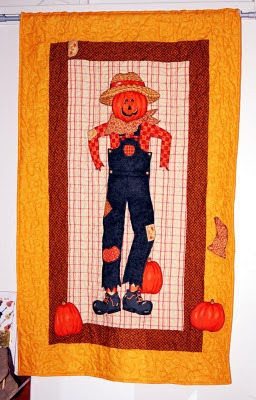 I ironed fusible web on his back then ironed him onto the plaid back ground fabric. I think it was a good choice. Then I sewed all around him with a decorative stitch with my sewing machine. 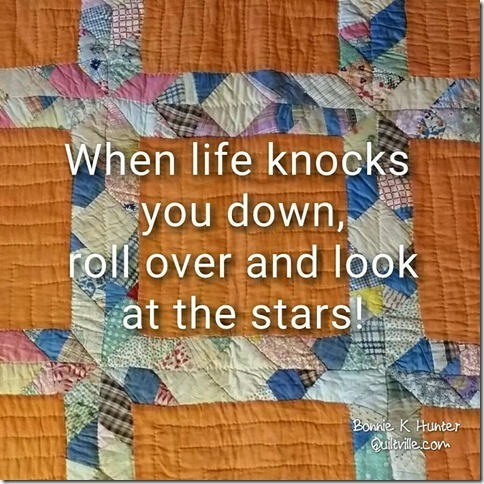 I normally would have waited until I was ready to quilt, but the fusible was old and did not stick very well. Next I added the two borders. On top of them I fused the pumpkins and other items on. 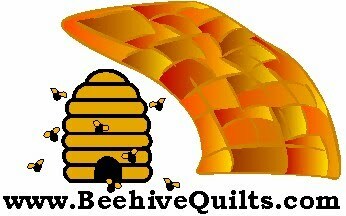 They came from the same panel and worked really well to highlight the quilt a little. I made a major mistake of using a very old, very fluffy bag of batting when I quilted it. So it is way puffier than I would ever want, but I left it anyway. Note to others: do not use that old, fluffy batt you have have hanging around. Donate it or throw it away. I actually took the rest and used to wrap some stuff that I was mailing out for protection. Works really well for a buffer. I like the quilt a lot and I had a long, narrow wall over a stair case that it fits beautifully.